The Throat Chakra – also called the Fifth Chakra, and Vishuddha Chakra – is located at the bottom of the throat, near the base of the neck. The jaws, mouth, gums, teeth, neck, throat, windpipe, gullet, thyroid gland, and hypothalamus, are governed by the fifth chakra. It is the energy center for communication and creativity. The fifth chakra is associated with the element Ether, the sense of Hearing, and the color Blue. Throat chakra healing is about open and balance the 5th chakra Vishuddha. 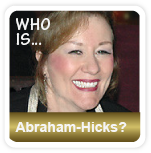 Your ability to speak and hear the truth depends on how balanced your fifth chakra is. Throat chakra healing is about finding a balance in how you communicate in your daily interactions. 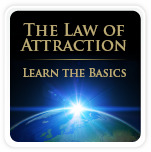 It is also about being able to release your will to the guidance of the Divine. Throat chakra healing will help you to let go of criticism, judgment, and addictions. You will be able to make wise decisions in life, express yourself with confidence, and use your personal power to follow your dreams. If your throat chakra is unbalanced or has been blocked for a longer period, you will start experiencing problems in your physical and/or emotional health. If you experience any throat chakra imbalance symptom (see below), you could benefit from healing the fifth chakra. Throat chakra healing will open your fifth chakra, and as this energy center becomes balanced again, you will notice the healing effects in several areas of your life. Healing the 5th chakra doesn’t only cure the symptoms, it cures the root problems! So, what kind of problems can throat chakra healing deal with? What are the sings of a blocked throat chakra? What can Throat Chakra Healing help you with? Throat chakra healing will improve your communication skills. You will communicate and express yourself, and your inner truth, in a more balanced way. Your learning and teaching abilities will also improve with throat chakra healing. Choices and solutions will become clearer and you will make wise decisions, as your faith in the Divine guidance becomes stronger with throat chakra healing. Furthermore, healing the throat chakra will help you to fully express your creativity. You will be able to move beyond old limitations as your personal power grows, and you will start moving towards your dreams. Also, problems with addictions can be resolved with throat chakra healing. On the physical level, throat chakra healing can help you with stiff neck, shoulder tension, tension headaches, thyroid problems, voice issues, raspy and sore throat, swollen glands, teeth and gum problems, mouth ulcers, scoliosis, and TMJ. Do you need Throat Chakra Healing? If want to fulfill your dreams but feel stuck, you could use throat chakra healing. If you feel uncertain, doubtful, fearful, have difficulites in making decisions or telling the truth, are a habitual liar, have poor learning ability, you could definately benefit from heart chakra healing. To be judgemental, critical, or frustrated, are also signs of an unbalanced 5th chakra on the mental and emotional level, and healing the throat chakra could help with these issues. Throat chakra healing could also be very helpful if you suffer from headaches, stiff neck, shoulder tension, sore throat, thyroid problems, or problems with your gum or teeth. Do you have a balanced, deficient, or an excessive Throat Chakra? If you have deficient or excessive energy in your fifth chakra Vishuddha, throat chakra healing can help as it will balance the energy in this center. 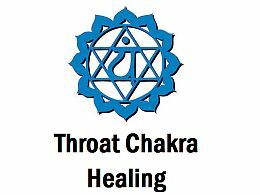 Throat chakra healing will not only cure the throat chakra imbalance symptom that is causing the blockage, it will also cure the root problem. 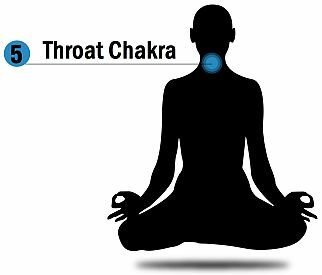 All areas in your life that are related to the throat chakra will start to improve. Throat chakra healing will help you to express yourself fully and you will start moving towards your dreams! The following throat chakra healing techniques will assist in opening and balancing the 5th chakra: affirmations, crystals for throat chakra, essential oils, throat chakra healing foods, throat chakra yoga, throat chakra meditation, and sound healing. Read about the different techniques and choose the healing tool that feels right for you. To make your throat chakra healing process more fresh and fun, alternate between the different techniques. Enjoy! Throat chakra affirmations can be very powerful in opening and balancing the 5th chakra. You will start to express yourself in a more confident and balanced way, and you will move closer to your dreams as you work with throat chakra affirmations. Since the sense of hearing is associated with the throat chakra, it is helpful to say the affirmations out loud as often as possible. However, stating the affirmations to yourself in your head is also effective, since this will reprogram your beliefs. Choose the throat chakra affirmations that resonate with your 5th chakra, and write them down. Place the throat chakra affirmations in areas where you can see them often – on the mirror, on the fridge, by your bedside table, in your car, in your wallet etc. Make sure that it feels uplifting as you do your throat chakra affirmations. It can be helpful to do your affirmations during meditation. As you quiet your mind, you release your resistance, and raise your vibration, and from this place, your throat chakra healing affirmations will be more effective. Crystals for throat chakra are used by many healers to open and balance the 5th chakra Vishuddha. A balanced throat chakra will enhance your communication skills, and your ability to express your truth in a balanced way. An open throat chakra also allows your creativity to flow. There are different ways to work with throat chakra healing stones. The easiest way is to wear throat chakra healing crystals as jewelery and enjoy the healing benefits at the same time. A tip is to allow your creativity to flow and make your own Vishuddha chakra necklace. Another way to use crystals for throat chakra healing, is during mediation. This approach will enhance the healing effects of the Vishuddha chakra. It’s very easy to do this on your own. Just place a throat chakra stone on your 5th chakra. Let go of any resistance, and visualize the color blue; the color of the throat chakra. Imagine how this blue energy is spinning in a clockwise direction in the area of your throat chakra. Feel the energy in your 5th chakra, and trust in the healing powers. After using the throat chakra healing stones, make sure to cleanse them. Below is a list of powerful throat chakra healing stones to open and balance the 5th chakra. Essential oils can be powerful in opening the fifth chakra Vishuddha. It is very easy to use essential oils to heal the fifth chakra. You can use a diffuser or an oil burner, or add a few drops of the healing essential oils into your bathtub. Throat chakra healing with essential oils will open up your creativity and help you to express yourself in a more balanced and confident way. The following essential oils are associated with communication, openness, confidence, speaking your truth, and letting go of fear – all issues related to the fifth chakra – and are therefore helpful in healing the throat chakra. Yoga can be very effective to open the throat charka. Powerful Yoga poses for the 5th chakra Vishuddha will stretch the neck and open the shoulders. The following yoga poses are therefore perfect for throat chakra healing as they work on the neck and shoulders. The Camel pose, or Ustrasana, is great for throat chakra healing as it stretches the throat and thyroid glands, and improves the flexibility of the neck and spine. The Camel pose stimulates the nervous system and is helpful for backache, and sinal problems. Also, as it strethces the abdominal organs, and helps with constipation. The Plow Pose, or Halasana, is very powerful in healing the throath chakra as it stimulates the thyroid gland, and stretches the shoulders and spine. This throat chakra healing pose can also aid headaches, bachache, insomnia, stress, fatigue, insomnia, and menopause. The Bridge Pose, or Setu Bandhasana, is fantastic throat chakra healing pose as it opens the throat chakra, and stretches the back of the neck and shoulders. It helps with thyroid problems; a common throat chakra imbalance symptom. Also, the bridge pose opens and stretches the chest, heart, thighs, and hips. This throat chakra healing pose can help with headaches, stress, fatigue, insomnia, anxiety, and mild depression. If you suffer from any of the throat chakra imbalance symptoms mentioned above, try guided meditation for the throat chakra. It is a lovely healing tool to balance the 5th chakra Vishuddha. The throat chakra meditation videos below will assist in opening and clearing the 5th chakra so that you will be able to communicate and express yourself in a more balanced and confident way. Enjoy! Solfeggio frequency at 741 Hz is about conscious expansion and heightened intuition. As you listen to this frequency you will heal your throat chakra. Your communication skills will begin to improve, your creativity will start to flow, and you will be able to see solutions more clearly, as you start applying sound healing for the 5th chakra frequently. For optimal healing benefits, use headphones. Enjoy!